R & L Irrigation Services, Inc. Comment: I need an estimate for 5 yards of Dark Brown Mulch to be placed around my bushes and one front tree. I also need estimate for front sprinkler system and amoher quote to trim and clean up front bush system. Comment: new to the area. 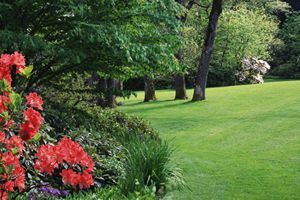 know about problems with landscaping. need professional help. Comment: I need someone to weed my flower beds, put down pre-emergent and mulch. Comment: Need to have foundation planting lined with landscape fabric and mulched. Comment: I would like to get an estimate for getting drywall insulation. Milton Landscaping Companies are rated 4.75 out of 5 based on 376 reviews of 22 pros. Not Looking for Landscaping Contractors in Milton, DE?